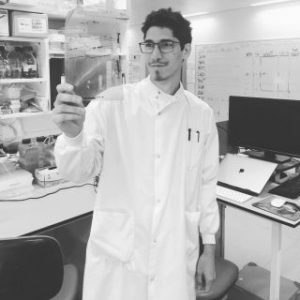 To mark Mental Health Awareness Week, we’re sharing this blog post on the MRC WIMM blog from Gregorio Dias, who describes his experiences with stress and anxiety as a PhD student. If you’ve faced similar issues and want to share them with the community, just get in touch. Working towards a PhD is an exciting, albeit challenging, narrative in a student’s life. The goals and aspirations that motivate one at the early stages of a PhD project are very likely to change over time. In my view, this transformative process is much needed, as it builds up personal and scientific maturity. This journey is, nonetheless, accompanied by stress and low points and I discovered that taking time to do other things I enjoy and sharing my experiences with other students was as important as working hard to be successful. That is an accurate summary of my experience as a PhD student and I hope that sharing it here will help others in their own journey. Aspiring to become an academic professor, I came straight from the Brazilian Amazon to start a DPhil (PhD) at the University of Oxford in the UK. I started an ambitious project aiming at answering a long-standing question in my field of study. In brief, I aimed at understanding how a particular protein of the innate immune system detects the presence of virus RNA in infected cells. Motivated by this exciting question, I immersed myself in the lab to achieve these goals. I had access to all the facilities, reagents and expertise I needed to tackle this question and never felt any pressure from my supervisors or colleagues. However, the combination of being ambitious and anxious did not mean immediate results, and I soon learnt that top notch science is rather a slow process….